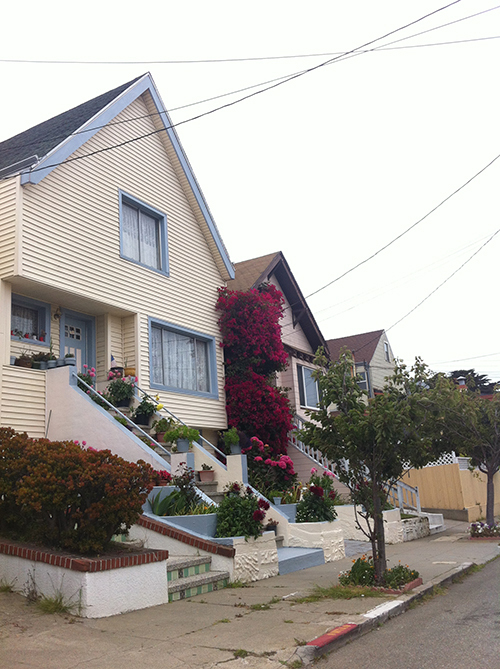 Is Mission Terrace the New Glen Park? I had to smile to myself when a colleague recently stood up in my office at our sales meeting and announced a new listing for a two bedroom home in Mission Terrace for $710,000. Mission Terrace is a neighborhood south of the Glen Park and Sunnyside neighborhoods, containing the Balboa Park BART stop. Until recently, it wasn’t a neighborhood that was as sought after as its neighbors to the north. However things are changing. I smiled because clients of mine bought a two bedroom home in Mission Terrace in February of 2012, before the market started to rapidly heat up. They paid $530,000 for it. I just did a Comparative Market Analysis for them and the average price for a two bedroom home in Mission Terrace is now $738,294. People who cannot afford a two bedroom home in most neighborhoods in the city are finding that they can still afford to buy a home in Mission Terrace, a hidden gem. However, the word is getting out.